Have you checked on the condition of your roof lately? If so, you might have noticed fading or ugly roof paint. This is not uncommon, especially amongst houses and business in the Brisbane area. Harsh sunlight and weather can easily degrade your roof paint, particularly if it is not applied correctly. If you’ve noticed a problem, like most people, you probably jumped online and begun searching for, ‘Roof Painting Brisbane‘, ‘Roof Paint Brisbane‘ or ‘Roof Painters Brisbane‘. Fortunately, the team at Strongguard offer a wide range of roof painting solutions, so you can stop your search with Strongguard! The Strongguard team has over twenty years experience when it comes to roof painting, so we know what works. We take pride in each of our jobs and prepare every roof meticulously before painting. Backed by our experience, we select the finest and most durable paints so that your roof gains an immaculate finish. Whether you’re preparing your home for sale, or would simply like to give it a facelift, the team at Strongguard have what you need. Painting roofs requires care and preparation, if it is to be completed properly. Everything must be done with precision, from cleaning the roofs and selecting the paint, to applying each coat correctly. With Strongguard, you can rest assured we will follow the perfect roof painting process. We have worked with roofing for over twenty years and are familiar with each step of the roof painting process. To achieve the optimum results, we approach each of our Brisbane roof painting projects on a job-by-job basis. By doing this, we ensure that you receive roof care that is tailored to your roof in particular. Our team of Brisbane roof painters will ensure that your roof is prepared thoroughly before painting and we help you select the most suitable roof paint. Strongguard boasts of some of the most experienced roof painters in Brisbane, so you are guaranteed the best in service and results. We draw from our extensive industry knowledge to make sure that your roof is painted to an immaculate standard. Our team includes expert estimators, who will work with you to match your roof with the ideal paint. When it comes to painting your roof, we take great care to ensure that you will be happy with the end result. The presence of any imperfections can quite easily compromise the durability of your roof, so we have developed a thorough process to ensure that this does not happen. Our Brisbane roof painting process has been developed and refined throughout the course of our 20 years in the industry. For this reason, you can rest assured that your roof painting project will be completed to the highest standards. Before we can commence with any priming on your roof, we have to set up the appropriate equipment. Of course, safety is our priority when working on roofs, so we set up guardrails and scaffolding as necessary. Once this has been done, we conduct minor repairs to ensure that your roof is in good condition before painting. These repairs include changing broken tiles and repairing capping. After that, we clean your roof with the help of a high pressure cleaner. This machine creates water pressures of over 3000psi, which effectively removes all contaminants from the roof’s surface. After the pressure cleaning, the roof is ready for priming. 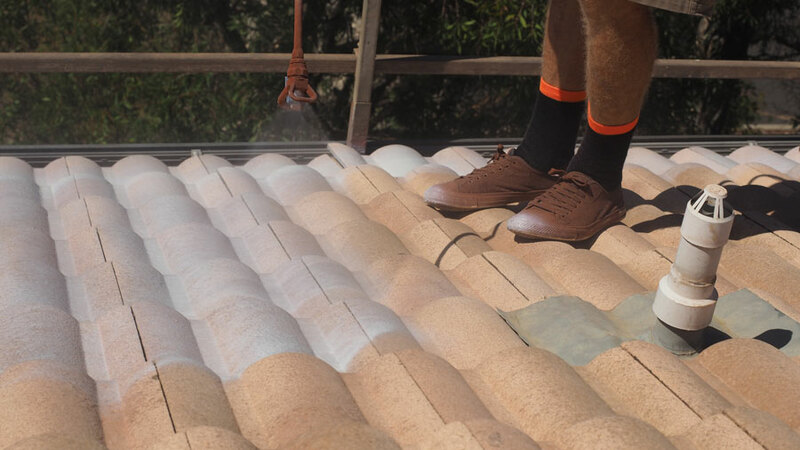 To do this, we begin by repairing the capping of any damaged roof tiles, to avoid future deterioration. Then, we apply a mould treatment to the roof, which prevents mould from damaging the paint as it ages. The last step before painting begins is preparing the gable ends and flashings. This involves hand-painting both the flashings and gable ends, before masking walls off. Doing so is important, as it prevents overspray. Finally, the roof is ready for its first coating of roof paint. This coating is called primer/sealer and this provides the foundation for uniform adhesion & durability of the paint job. Following the application of the primer/sealer, we apply two coats of high quality roof membrane. The roof membrane is the hardy outer layer that looks great and protects your roof against the harsh sunlight and weather of Brisbane. When this is complete, your 10-year roof membrane and workmanship warranty will commence. Whether it’s a facelift you want or long term protection from the weather, we can help. Contact Strongguard today and we can talk you through some of your Brisbane roof painting options. You can reach us online by filling out our online enquiry form, or you can call our office and speak with our team. We welcome the opportunity to discuss your roof painting needs with you, so feel free to get in touch. #1 How long does it normally take you to paint a roof? There are many stages involved in the roof painting process and they are all equally as important as each other. To get the best finish it is absolutely imperative that the correct preparation procedures are followed. 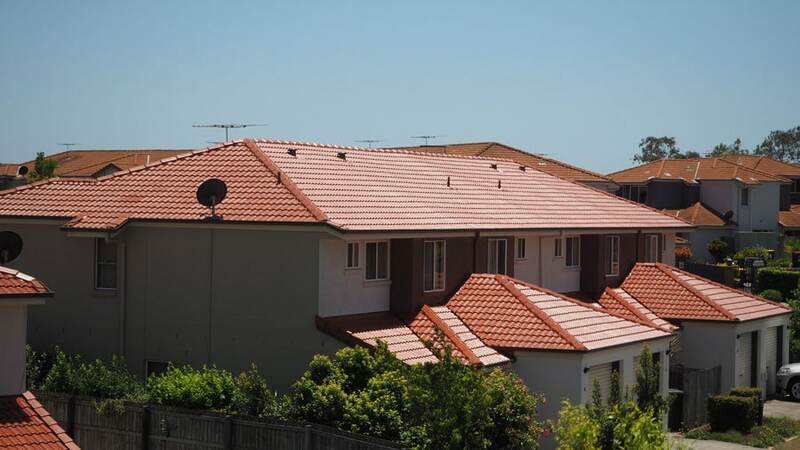 At Strongguard, we have developed our Brisbane roof painting procedure over our extensive time in the industry. This means that it is specifically developed to provide enough time for all the necessary steps to be completed. The exact period of time taken to paint a roof depends on the size and nature of the job. However on average, it takes the team at Strongguard two to four days. This is normally enough time for us to prepare your roof perfectly and apply each coat with sufficient time to settle. Of course, the weather can play a part in the duration of the job, as certain conditions are unsuitable for roof painting. #2 What roof paint do you normally recommend for Brisbane homes and businesses? Here at Strongguard, we strive to provide the most visually appealing and durable roof painting finishes. Over our time in the industry, we have found that our choice of roof paint plays a significant role in the quality of the overall job. For this reason, we use only the finest quality roof paints from acclaimed brands such as Dulux and Shieldcoat. Specifically, we use Dulux Acratrex and Shieldcoat Roofbond paint. These paints are renowned for their durability and smooth finishes. 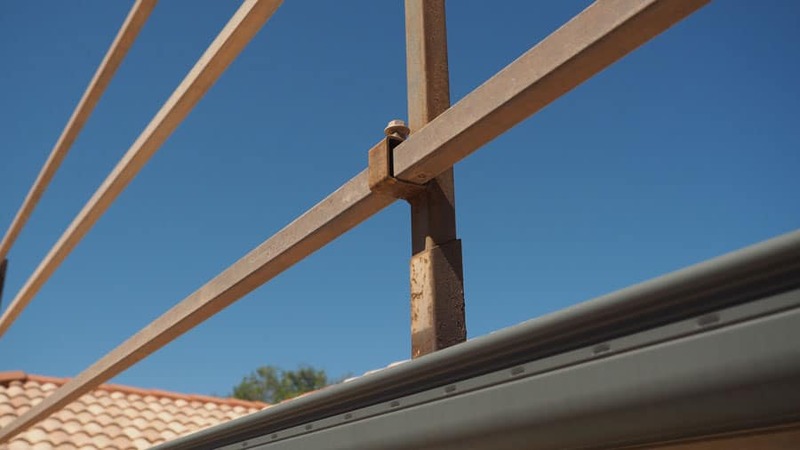 As well as this, they are purpose built for roofs, so you can rest assured that they are designed to withstand constant sunlight and any other weather conditions that Brisbane throws at them. #3 I want to change the colour of my roof – can you facilitate this? At Strongguard, we pride ourselves on maintaining a wide variety of roof paints, which allows us to offer you’re a choice of over 70 different colours. We believe that the roof of your home can be a powerful design feature; especially with a high quality and coordinated choice of roof paint. Our aim is to give you the capacity to not only maintain your roof, but also customise it to reflect your design preferences. Each of our roof paint options are of the highest possible standard, which means that you can get both personalised and durable paint for your roof. As well as this, we offer experienced estimators to help you in your selection. Our estimators are experts when it comes to identifying the right paint for a roof, so you are guaranteed the best results. #4 Will my roof painting job come with a warranty? The team at Strongguard understands that you want long term protection for your roof. To give you the ultimate in peace of mind, we provide 10 year warranties with our work. We see these warranties as a testament to the quality and attention to detail offered by our team of roofing specialists. Your warranty will cover the workmanship itself for ten years, as well as the roofing membrane. This means that if any problems arise in the future, you will be covered. Your warranty commences once your job has been paid for, which means that it should be active within a week from the job’s completion. #5 How long have you been operating? 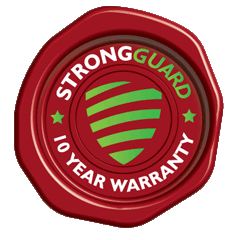 Strongguard has been offering high quality roofing solutions since 1996. Roof painting forms a large part of what we do and our extensive time in the industry has allowed us to see firsthand what works and what doesn’t. Throughout our 20 years in business, we have refined our processes and products to ensure consistency in our end results. We don’t approach every roof painting project in the same way. We take the time to familiarise ourselves with your roofing needs specifically, so that your roof gets the care that it needs. Our foremost priority is service and it is this that has allowed us to thrive and grow for the last 20 years.